PAPILLION, Neb. – About 7,000 people spent part of their Father’s Day with their spiritual fathers — their priests — at a Nebraska softball matchup between priests of the Archdiocese of Omaha and the Diocese of Lincoln. 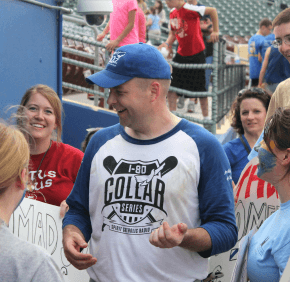 The two teams met at Werner Park near Papillion, home field for the Omaha priests, on a warm, humid evening June 21 to raise money for vocations. The 31-17 score indicated a high-scoring rout by the Lincoln priests, but the higher-than-expected turnout made both sides winners. Proceeds hadn’t been tallied completely but were expected to exceed $35,000, according to Jim Carroll, executive director of Spirit Catholic Radio, which organized the event with the two dioceses. Attendance was double of what the Omaha archdiocese had expected and the biggest fundraiser ever for its vocations office, said Kathie Weinfurtner, the office’s administrative assistant. “People just love their priests and want to support them,” she told the Catholic Voice, newspaper of the Omaha Archdiocese. Fans wore red for the Lincoln “Capitol City Clergy” team and blue for the Omaha archdiocese “Padres.” Some people held signs supporting their favorite priests. A Family Fun Zone, with a carousel and bounce house, was free with admission during the 5 p.m. game. Tailgating began at 3:30 p.m. with several parishes and Catholic organizations serving food. Mary Our Queen Parish in Omaha gave away 1,000 hot dogs and supplied ice and water for both dugouts. The parish turned over freewill donations for the food to the vocations offices, Weinfurtner said. Parishes in the Lincoln Diocese gave away bratwurst and pulled-pork sandwiches to fans from both sides. The game started late because people were having such a good time tailgating and had to be coaxed inside the ballpark, said Father Andrew Roza, who will become the archdiocese’s next vocations director beginning July 1. “The value of the event was largely just to celebrate who we are as Catholics — and enjoying that,” he said. The game began with a prayer for vocations led by retired Lincoln Bishop Fabian W. Bruskewitz and ended with the crowd joining both priests from both dioceses in a “Hail Mary.” Then the priests closed the game by singing the “Salve Regina” together. Bishop Bruskewitz and Father Hoesing threw the ceremonial first pitches. Each team had 20 players. And the 10 on the field batted each of the six innings, leading to the high score. The priests spiced up the game with a little humor now and then. Father Damien Cook, pastor of Christ the King Parish in Omaha and catcher for his team, feigned a dispute with the home umpire, kicking dirt at him. The umpire played along, ejecting Father Cook from the game. But on his way to the dugout, Father Cook knelt down at the feet of another priest, who made the sign of the cross over him and “absolved” him of his sin, which allowed the catcher back into the game. The event was a unique chance for priests of neighboring dioceses to just have fun together. “We do have periodic encounters, such as retreats, funerals, ordinations or other ministerial occasions,” Father Hoesing said. 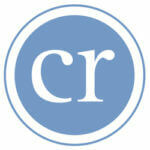 “However, a broad, intentional moment of recreation is new territory in my estimation. It’s an exciting new moment in our history across the Platte (River),” the boundary line between the dioceses. “A new and fun encounter between brother priests always serves God’s people,” he said. Father Roza and a few other priests were sore the following day, but the scrapes from a fall or any pulled muscles from sprinting around the bases were worth it, he said. The crowd’s cheers and the money raised to help educate seminarians and encourage religious vocations were encouraging, Father Roza said. “I’m grateful for people’s support for the priests serving now and for those who will serve in the future,” he said. The event will be held again next year, but the date and site hadn’t been determined yet. Father Hoesing said he would like to see the game become an annual tradition. Szalewski is a staff writer at the Catholic Voice, newspaper of the Archdiocese of Omaha.